A face mask that can be used on its own, it gives the skin a youthful glow, nourishes, and firms aging skin. It contains spearmint that refreshes and cools the skin after peeling. 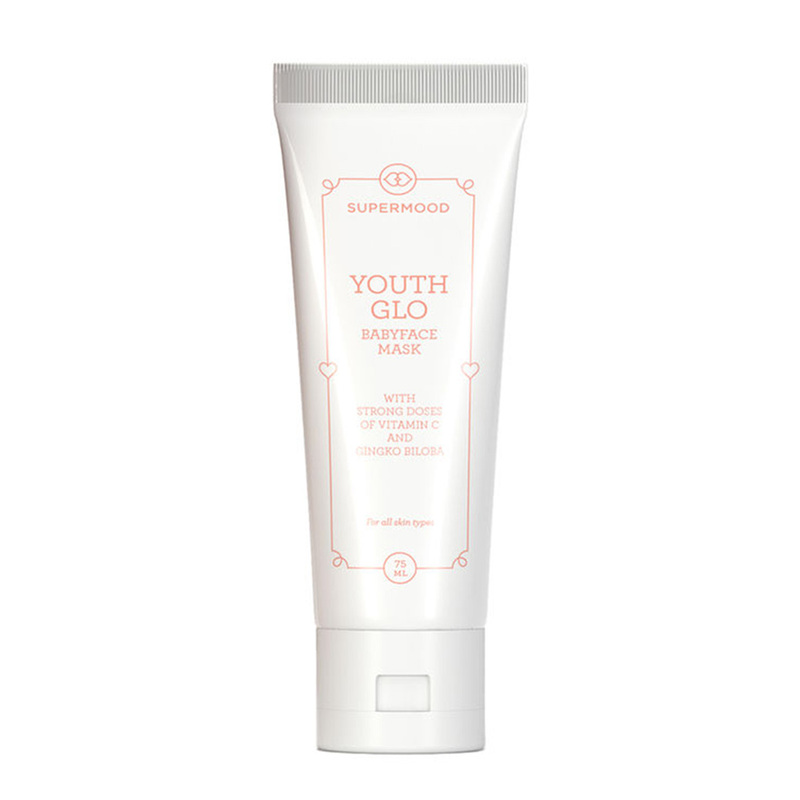 In addition to this, the mask contains sea buckthorn juice, vitamin C that clarifies the skin and boosts collagen production. Vitamins A and C as well as beta-carotene in rosehip oil give the skin radiance, smooth fine lines, and repair scars. Moth bean is a natural alternative to retinol. It helps repair sun-damaged skin and signs of aging. Green tea and ginkgo biloba extracts contain plenty of antioxidants that helps prevent the effects of free radicals. They also soothe the skin and reduce redness. Apply generously onto face, avoiding eye area. Leave for 10-20 minutes and rinse off with water. Can be used alone as a Cinderella mask.